Do you wish to have an elegant cooking area with proper arrangement of appliances, but lacking space in your kitchen? Renovating or remodeling your small kitchen may burn a hole in your pocket. 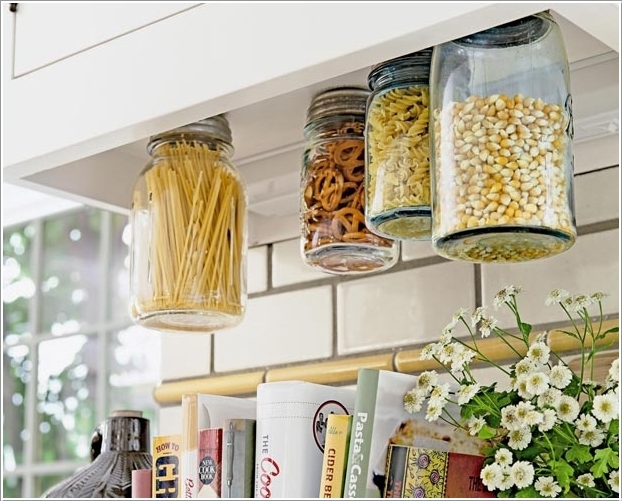 So, here are some smart storage hacks to help you utilize the limited space intelligently and make your kitchen organized. Have a look! 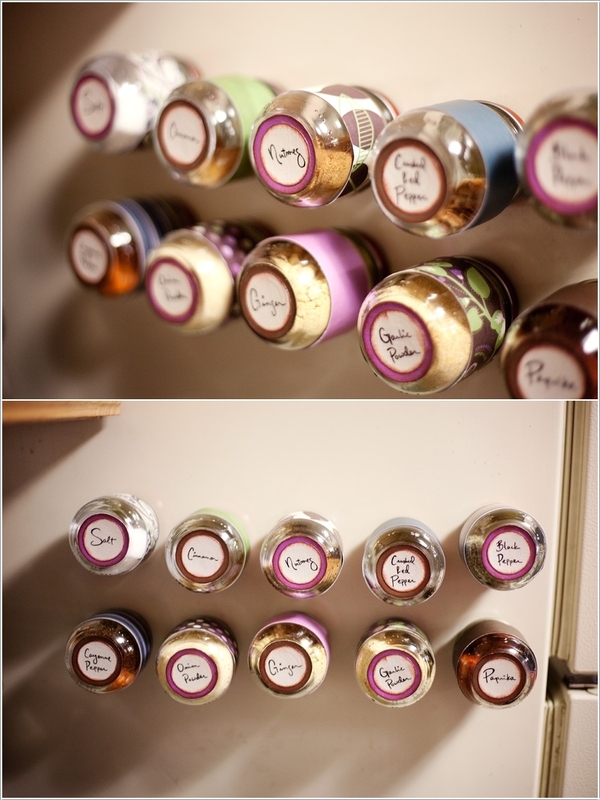 With the help of magnets, turn the sides of your refrigerator into a spice rack. Isn’t it a really innovative idea to size up your kitchen? Hanging items on the kitchen’s door does not look good, but you can at least use its backside so that they are not visible to other people. It’s a smart move, think about it! Customized tapered shelves are a perfect way for maximizing the storage area when you are running short of space in your kitchen. It’s not only cheap, but also adds a bit of color to your kitchen along with a sophisticated look. 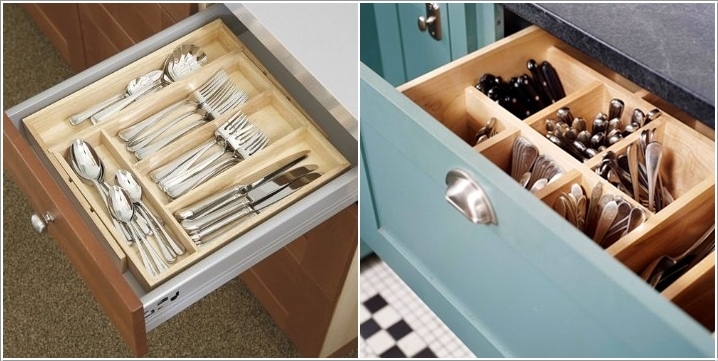 Partition of drawers in your kitchen for arranging utensils in a better way is another great option. Instead of fetching a cutting board from a cabinet to cut vegetables / fruits and restricting space, simply build a pull-out board. Plastic bags can be used for a number of purposes, but storing them is a headache. You may buy a plastic bag dispenser from the market. Or else, you can also cut the bottom part of a plastic bottle and mount it on a wall with a screw. So, next time whenever you get plastic bags from supermarket, stuff them inside the dispenser. Hang a nicely painted pegboard on the unused wall of your kitchen. Attach some S-hooks and hang some lightweight pans, pots, utensils and colanders. The pegboard will not only keep your things handy, but also organized. 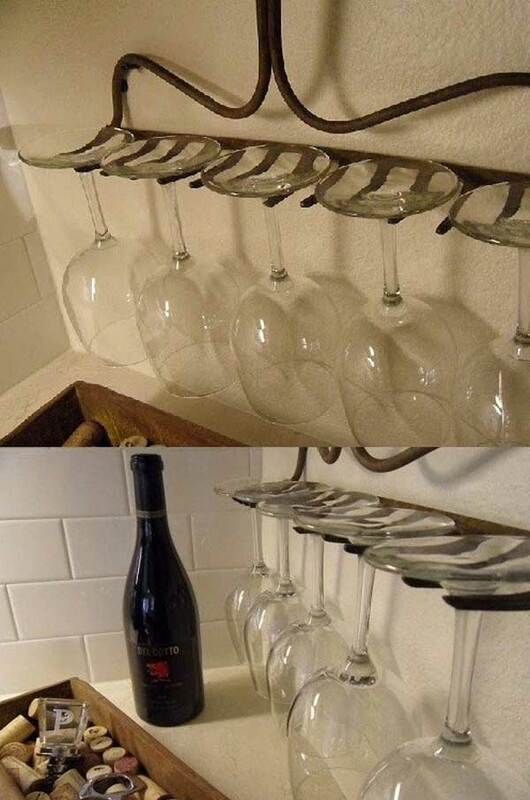 This storage hack may sound strange to some, but it is an interesting way to store things. You need not spend too much to store spices, snacks, or any other food items that fit in the bag. You can also store cutlery, napkins, measuring spoons, water bottles, or small boxes of plastic bags. So, just buy a brand-new plastic shoe holder from the market and sling it over your pantry door. Simply fix the bracket-style curtain rod on the wall with the help of anchors and use it to hold the pot lids. Move old CD holders to the kitchen drawer. 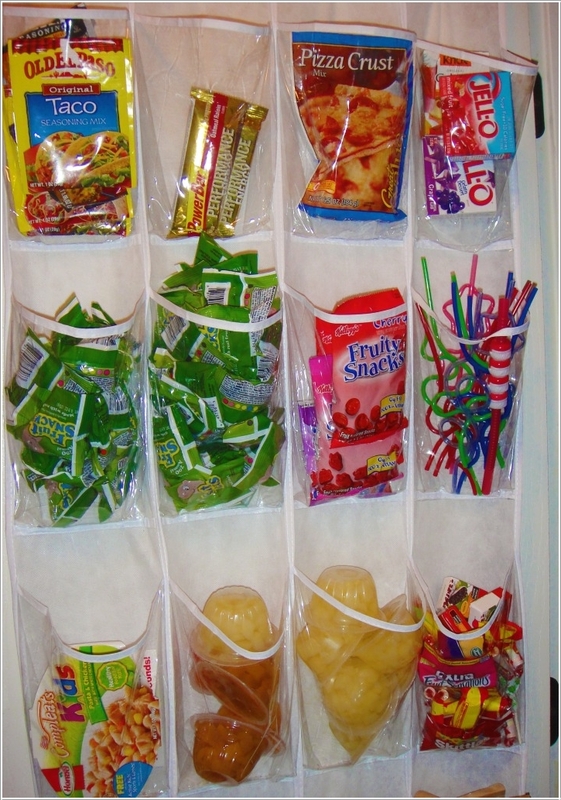 Organize your plastic containers and store the lids in the spaces. If you don’t have any holder at home, buy secondhand from the market. 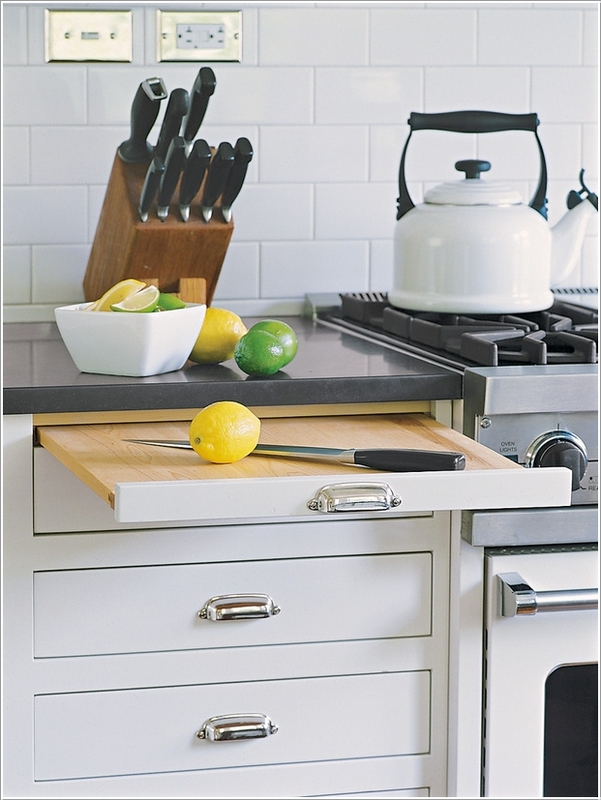 Save some extra counter space in your kitchen by using magnetic strips and attach knives on it. Suspend a dish cabinet above the sink and place dishes on it for drying purpose. It will free some counter space for other purposes. To organize your kitchen, labels can be very helpful. Label the top of the jars so that it becomes easy for you to take out that particular item. Drawers and cabinets are excellent storage option, especially when you have a small kitchen. 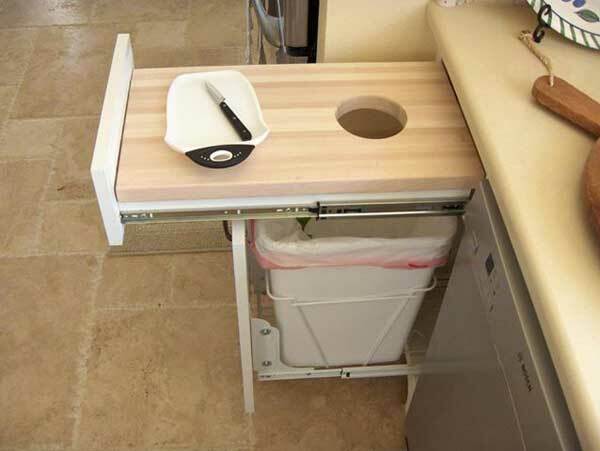 Make use of openable drawers beneath the sink for keeping soaps, detergents, etc. In addition, you can also get toe-kick drawers under the base cupboards. 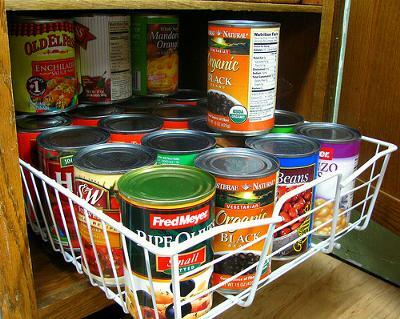 Add some more space in your cabinet by hanging pans, pots, and even cooking utensils from the ceiling. 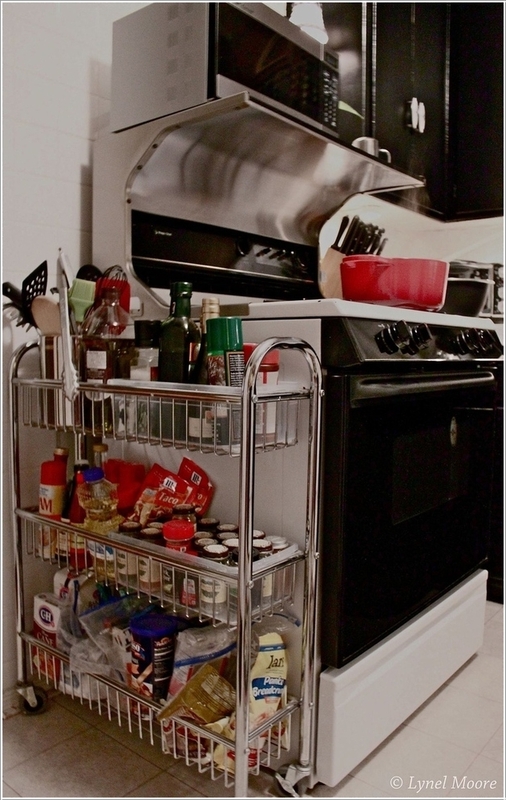 This will also build an attractive overhead rack for your kitchen. For organizing and storing spray bottles or other cleaning products, use a tension rod. Put a collapsible wine rack in your fridge to keep soda, wine, and water bottles. Why waste even a little space? Make use of those side doors of the cabinet which are left unused. Utilize it for hanging utensils. If you have very little space in your kitchen with less number of cabinets available, utilize those cabinets by putting shelves. In this way, you will have more space to keep the dishes, plates and other sauces. Line the area just beneath the kitchen ceiling with shelves for some extra storage space. Make use of that unused space below the sink by suspending a little basket with the help of Command hooks. Attach command strips on the inside of your cabinets to save your counter space.